Perhaps because of our work on the Street Talk project, which looked to see whether youth workers could use an evidence based screening tool and Motivational Interviewing to reduce substance misuse, I’ve noticed a lot more about the use of brief interventions. Quite a lot of what I’ve been hearing and reading about is focused on getting the health care system to take up and use brief interventions. Whether that’s GPs or in Emergency Departments there seems to be a strong enough evidence base for using this approach, particularly with adults. Over the last few months I’ve been pleased to be part of the advisory group for the Identification and Brief Advice (IBA) Network. IBA is an evidence based, effective intervention to identify and intervene with individuals drinking at levels above recommended guidelines. I wanted to support the network in part because of our experience on the Street Talk project where we found that this sort of approach fitted well with young people who were already taking risks with their health. The network isn’t for drug and alcohol specialists rather it aims to support staff, practitioners and clinicians working in London to deliver what is quite a simple but effective approach to reducing harm. If you’ve had training in this area, or want to be more effective in how your organisation can support those at risk then the network could be a way of supporting you. You can find out about the IBA network by clicking on this link. You will be able to find out about the aims and download the latest newsletters. The network provides support, information, advice, resources and updates on the most recent research in this area. 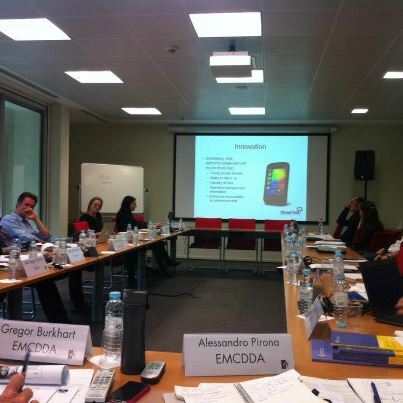 Readers may remember that I was one of a number of speakers at an EMCDDA seminar earlier in the year. ‘Early intervention’ is a term that should be treated with caution (e.g. in quotation marks) as it does originally not refer to intervening early in drug use trajectories, but early in lifetime and is not necessarily related to substance use. More useful in this environment is the term ‘brief interventions”. These interventions have, often with a motivational interviewing element, been applied to a number of settings. Most of the literature on BI and MI is about adults, alcohol and primary health care. Implementation and effectiveness research on cannabis, other illicit drugs, young people and other-than-health-care settings is scarce. Effectiveness: Brief Interventions and motivational interviewing are effective, at least in primary health care for alcohol. Also the evidence on cannabis use is very promising; as well for computerised interventions (Carey et al., 2009; Khadjesari et al., 2011; Moreira et al., 2009; Rooke et al., 2010). It seems not to matter much who delivers the interventions, in terms of basic professional training, provided they have sufficient dedicated training and motivation. Roll-out: Brief interventions with a motivational interviewing are feasible to be applied in primary health care, particularly in National Health System. Experiences in UK and Spain have shown that. There are also promising experiences with young people and in street work settings. Better coordinating and streamlining existing different services (‘bust the silos’) might be an option in austerity times in order to achieve positive outcomes on health, social and substance use behaviours. To implement BI in public health systems, it needs to be backed with proper specialist referral systems and training systems for front line professionals: they need to know where to send people with special needs and have sources of support and skills development. EMCDDA | European exchange on Brief Interventions and Motivational Interviewing for people using drugs. Having been invited to make a presentation to an expert meeting at the EMCDDA I’ve returned feeling that I’ve learnt as much as I’ve contributed. My presentation described what Mentor and Addaction did as part of our Street Talk project last year. As anyone who was following my Tweets from the event would have seen I was preceded by contributions from Spain, Poland, Germany and Jim McCambridge from the UK. I’ve had a really interesting day at the Alcohol Early Intervention and Prevention Leadership Summit organised by the London Health Improvement Board and I’m grateful for the invitation to participate in what was a stimulating event. But it was also perplexing and left me with some questions that I thought I’d throw out into the blogosphere. When I describe what our charity is about and say that we’re concerned with drug and alcohol prevention I almost never have to say that our focus is with children and young people – that’s a given. Sometimes we work with families, sometimes with schools or other institutions, and we also lobby for and support environmental interventions, but always with the intention of improving the chances that children and young people grow up with better health and wellbeing. What today’s conference has suggested is that this isn’t the view of prevention that is currently taking shape in the alcohol world where prevention and early intervention is almost exclusively a description of interventions for adult drinkers. This leads me to a number of questions. Are we talking about the same things when we use the words prevention and early intervention? What is it that we’re trying to prevent? What are the consequences if prevention embraces adult drinkers. One of the interesting things of being in the position we’re in is that we get to see the similarities and differences in the cultures that have emerged amongst professionals trying to respond to different substances. But what seems odd (to me at least) is that there appears to be very little crossover both cultures see themselves as self-contained a lot of the time, rivals for resources and political attention. Perhaps this is because of the different political arguments that have been made – a focus on reducing crime in the case of illegal drugs and on population health outcomes when comes to alcohol. The consequence seems to be a shared language being used for very different ends. I was struck by the fact that when talking to the working group at the Centre for Social Justice earlier this week the phrase “early intervention” was understood to be increasingly about what we do in the first three years of life, while at the summit today it was about interventions with adults attending A&E and in GPs surgeries. The challenge of a day like today is to find a place for what we do at Mentor – working with children and young people – if alcohol leaders are using the phrase preventions to describe interventions with adults who are drinking heavily and trying to get them to drink more moderately. At a drug conference this would be called harm reduction. But if prevention is being extended to include this client group is this broader definition helpful or a threat? Does it provide allies for making an argument for prevention or will it mean that the word looses meaning by becoming all things to all people?